November 18, 2015 - Like us now! 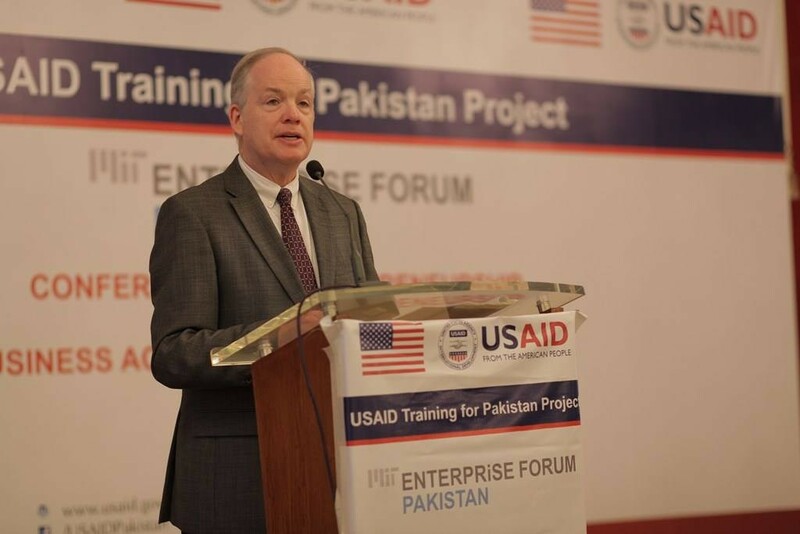 On the 14th of November, MITEF (MIT Enterprise Forum) for Pakistan held the final rounds of its Business Acceleration program to award the winners of the competition. OutDoor Advertising Assets is a data logistics company that focuses on real-time collection, assessment and distribution of static data. A health-focussed startup, the main aim of doctHERs is to establish clinics in under served areas across Pakistan. With the help of mobile and internet enabled technologies and video-conferencing, this startup aims to connect female doctors with millions of under-served patients in real-time. Queb Technoligies is a software solution provider that designs products that focus heavily on business and customer interaction. They won for their research and work in developing a physical retail (walk-in) customer management system. The first runner up, Bylytica is a Business Intelligence and Analytics Solutions company that provides business services like advanced analytics, dashboards and portals, BI architecture and query, reporting, and analysis. CloudClinik was the second-runner up in this category. It is a cloud based EMR and Practice Management solution for doctors, clinics and healthcare facilities, eliminating the need for upfront software installation or IT expertise. EnovatRx provides South Asia’s first e-Pharmacy Benefit Management System to provide access to quality medicines, electronic medical records and e-prescriptions for low-income workers. Globe Tech Private Limited is professional search engine optimization(SEO) management firm that provides SEO, Web Development, Data Entry services and Web Hosting services. The Business Acceleration Program has been incredibly successful in improving the revenue of most of the companies participating in this program, even 10 to 15 times for a few. Sofizar, a digital marketing agency and a former participant in this program, experienced a 30 times increase in its revenue in less than two and a half years, up from $1 Million to a whopping $30 Million.